Typescript of a lecture delivered on October 15, 2010 by Peter Kalkavage as part of the Formal Lecture Series. Hegel, Georg Wilhelm Friedrich, 1770-1831. Phänomenologie des Geistes. 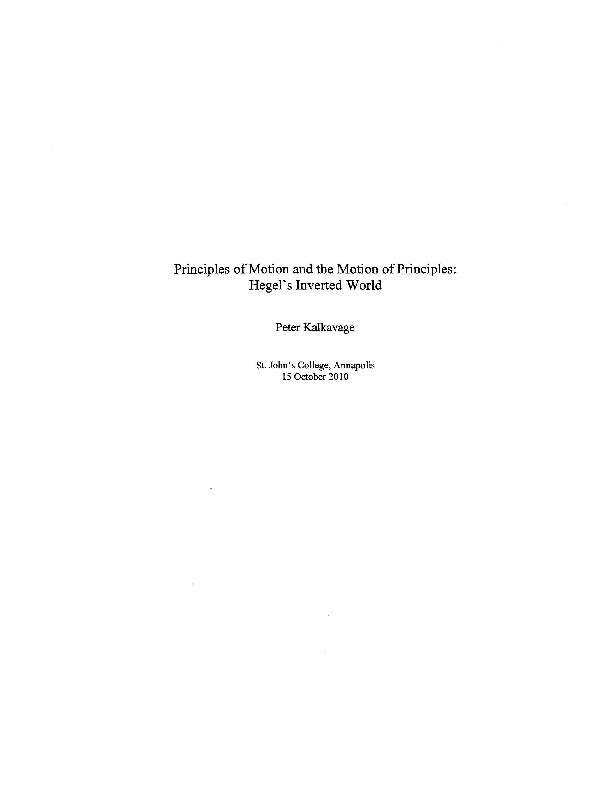 Kalkavage, Peter, “Principles of motion and the motion of principles: Hegel's inverted world,” St. John's College Digital Archives, accessed April 24, 2019, http://digitalarchives.sjc.edu/items/show/3842.